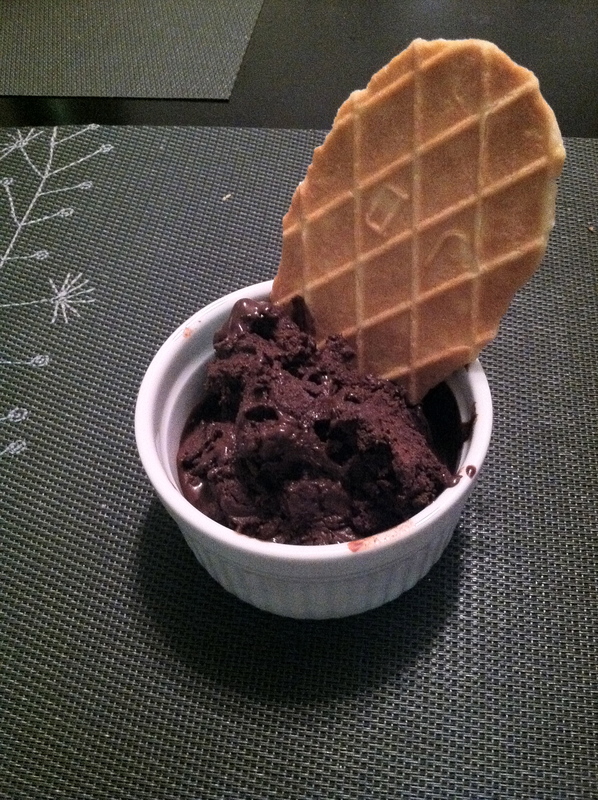 Originally when I found this recipe for chocolate sorbet, proudly claiming that it is vegan (ergo HEALTHY! ), I stared at it for a full minute before deciding that it is in fact, NOT vegan. It is paleo. Well, maybe, kinda sorta. Okay, how about this: it’s better for you than DQ soft serve, and it doesn’t have dairy in it. It feels indulgent yet sparse, with deep chocolate flavor and a creamier-than-you’d-expect texture, it makes fruit sorbets seem almost bracing, while this maintains a fantastic mellowness. I made a few changes, mainly cutting the sugar in the original recipe in half, which emphasizes the dark chocolate-ness, in my opinion. I also believe, as a rule of thumb, that the fewer the ingredients, the better quality you should use. In this case, cocoa powder and dark chocolate taking an aggressive lead means that I like to splurge a bit on the best chocolate you can afford. 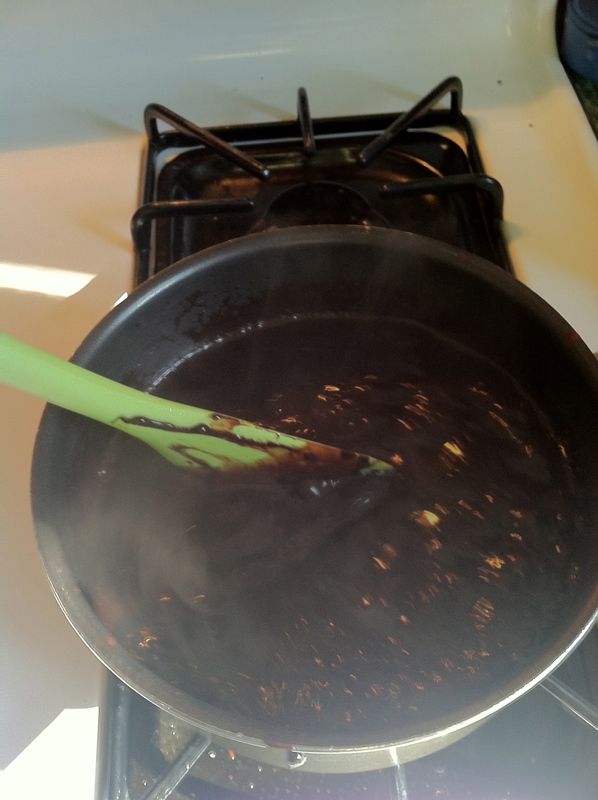 That said, if you make it with Hershey’s cocoa powder and a bar of not-so-trendy/spendy name brand chocolate, I know it will still turn out awesome. Yet another thing that makes this recipe accessible and easy? You don’t really need an ice cream maker to make it. Just a flat pan, a mixer, a fork and a halfway decent memory to remember to check on it as it freezes. 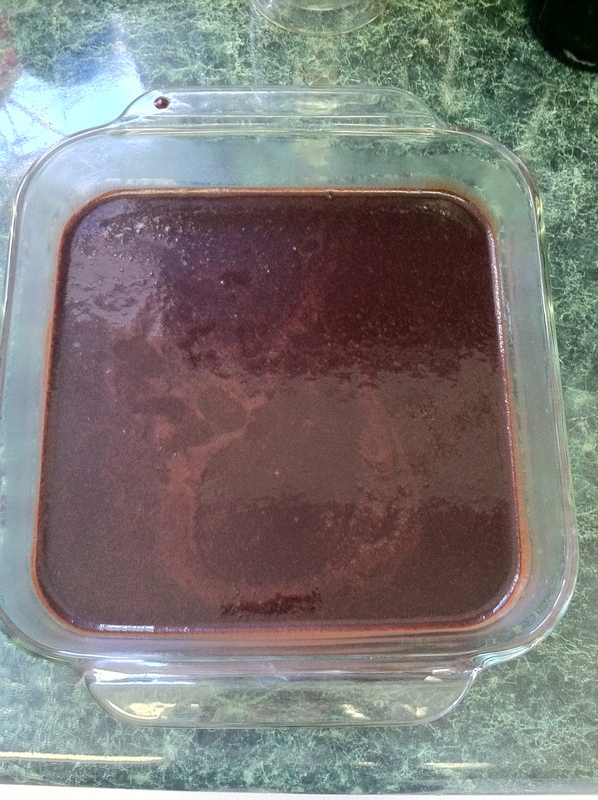 Stir 1 1/2 cup water, cocoa powder, sugar and salt together in medium saucepan. Bring to a boil and boil for a minute. Stir constantly to prevent it from boiling over. It will look watery as the pictures shows. 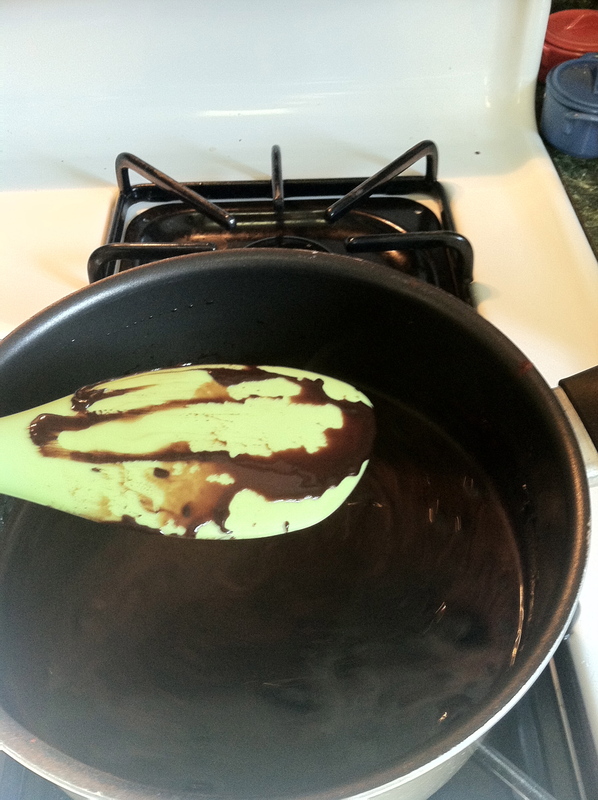 Stir in chocolate pieces, vanilla and the rest of the water. 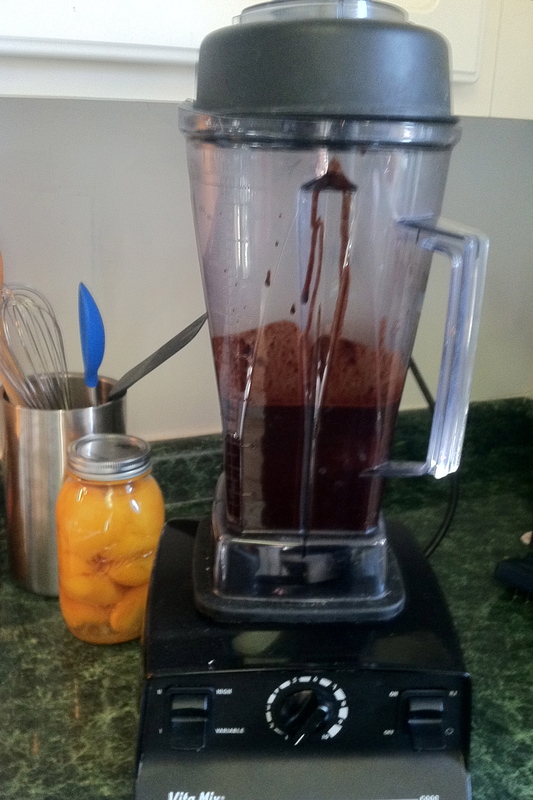 Pour into a blender and whir it for a few moments (30 seconds is sufficient) to ensure there are no leftover chunks. Pour into an 8×8 pan, and put in the freezer. If you have an ice cream maker, pour in and freeze according to manufacturer’s directions. If you are deprived of such small kitchen appliances as I am, pour into a flat pan and freeze two hours. Scrape mixture into a mixer fitted with a paddle attachment and blend for a few moments to break up the forming ice crystals, or you can use a hand mixer or a fork. 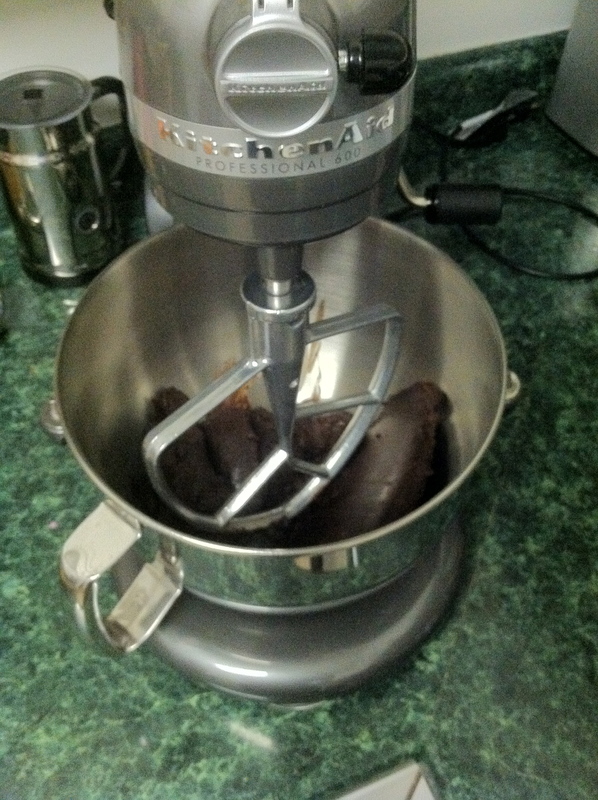 I prefer the fork method, as cleaning my mixer every half hour is not my idea of efficiency. I learned this the first time around. Put it back in the freezer and freeze for 30 minutes intervals, take it out and mush it around with the fork. When it’s firmed to the consistency of ice cream, scoop and serve with strawberries, caramel sauce or just enjoy it by itself. Note on the picture: I asked my boyfriend to snap a picture and he felt the need to pretty it up a little with a Belgian cookie. However, cookies, Belgian or otherwise, aren’t required. This entry was posted in chocolate, dessert and tagged chocolate, frozen, sorbet. Bookmark the permalink.